Locking Security Show Case Safe Box Display 16" X 13" X 3" Product Details:Dimensions: Acrylic Security box 16" X 13" X 3" Door and lock w/2 keysSecurity Box, Lock box, Showcase boxSecurity Lock BoxThese security lock box display cases provide a safe place to both store and showcase prized collectibles! The economically-priced holders are the perfect choice for home collectors, in addition to some retail environments. 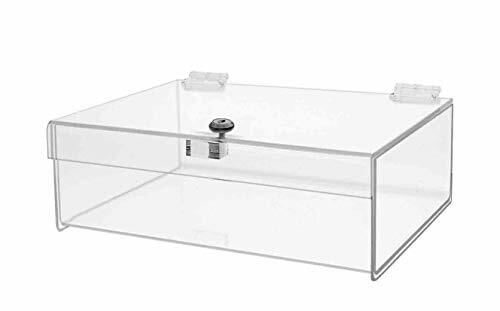 Marketing Holders display cases that have a clear plastic acrylic top, also known viewable lock box allows a collector or enthusiast to highlight their favorite pieces, rather than keeping them packed away in a box or other packaging. These units are excellent for a wide variety of other items, including figurines, coins, sports memorabilia, weapons and more! 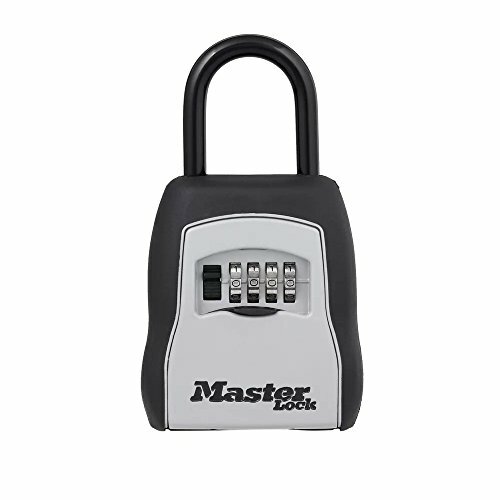 Cash Locker Lock Box Is A Must Have: Our Company strives on creating the most dependable lock box that’s why our lock boxes are constructed of heavy-gauge powder coated steel to provide long-lasting durability and reliability use after use. 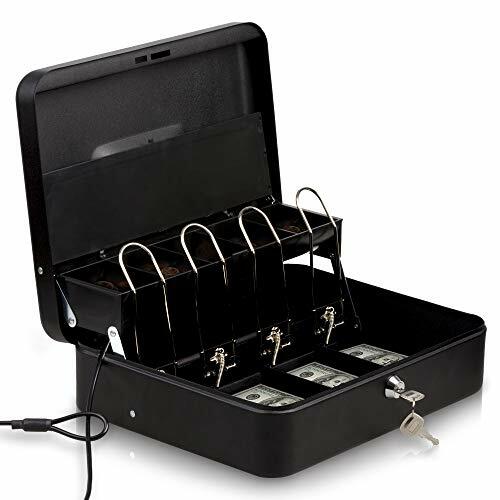 It Is a multi-purpose lockbox which can be used to store cash and other valuables. 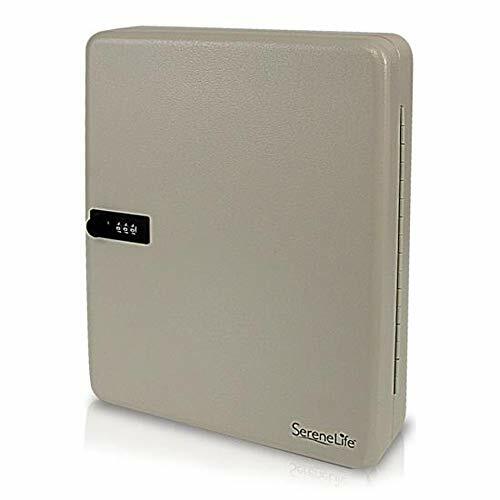 When you need to conduct business transactions with ease, the Cash Locker travel safe for cash is essential, designed to make accepting cash and making change so much easier. Security Cable easy to install and remove. You never have to worry again just simply install the security cable to and stationary object, close and lock the box. 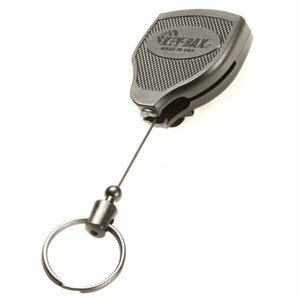 Made With A Privacy Key Lock and comes with two keys to helps prevent unwanted access to bills and coins. Cash Register style money clips and coin tray with lid will keep all your bills, coins and valuables organized and in its place at all times. 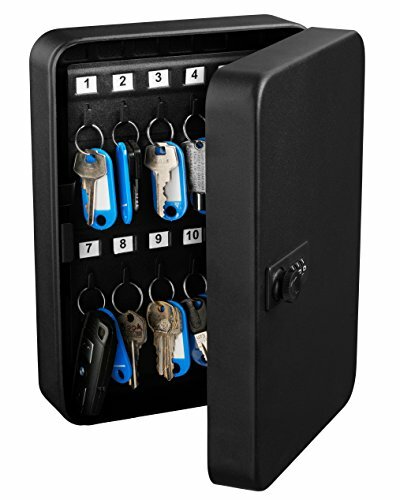 Extra Rear Storage to store large bills, checks or personal items completely out of sight. Convenient fold away carry handle to make transportation simple. Easy To Clean just simply get a damp cloth and wipe the inside and outside of the box. Locking countertop display cases are made in square and rectangular sizes and in various heights. Clear acrylic case allows full visibility of contents. 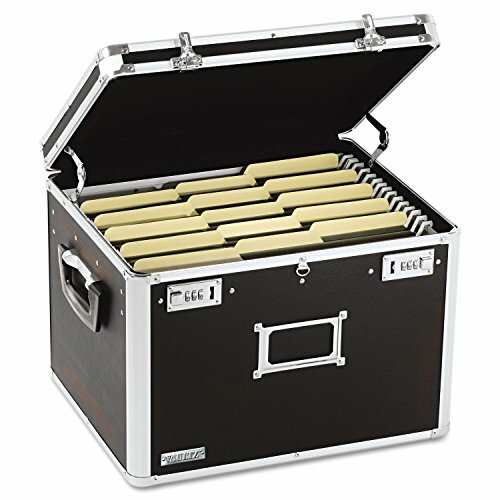 Cases are made to hold standard jewelry tray inserts, as well as hardware, art objects, watches, collectibles, baseball cards, artifacts, arrowheads, matchbox cars and sports memorabilia. Frequently seen in retail shops, jewelry stores, art & craft shows, tradeshows, flea markets and swap meets. 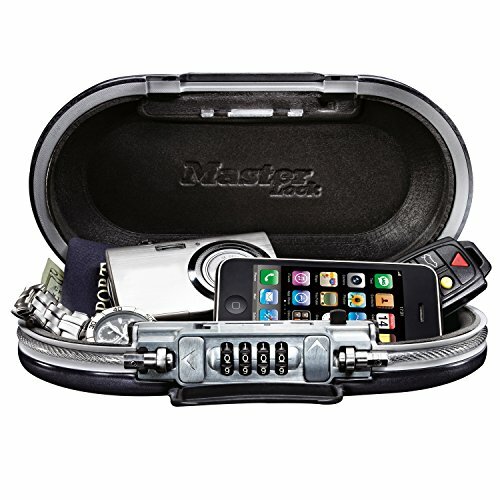 Each case comes with a lock and 2 keys to keep items secure. 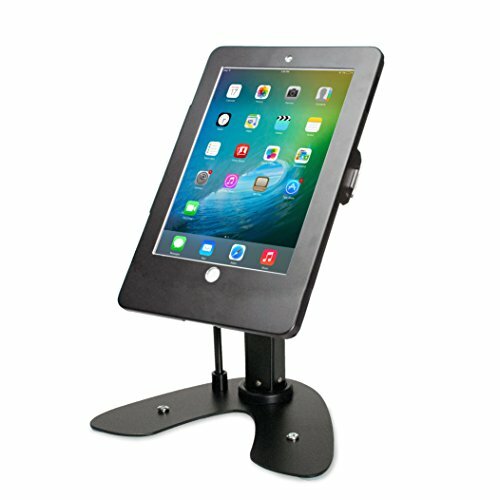 Marketing Holders Displays are premium, Museum Quality products backed by decades of manufacturing experience. Handmade in the USA. Ships for free in continental states. Locking Security Show Case Safe Box Display 18" X 18" X 6" Product Details:Dimensions: Acrylic Security box 18" X 18" X 6"Door and lock w/2 keysSecurity Box, Lock box, Showcase boxSecurity Lock BoxThese security lock box display cases provide a safe place to both store and showcase prized collectibles! The economically-priced holders are the perfect choice for home collectors, in addition to some retail environments. 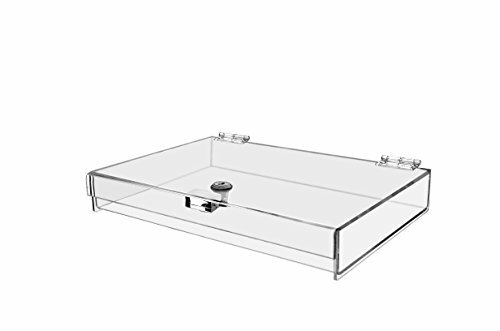 Marketing Holders display cases that have a clear plastic acrylic top, also known viewable lock box allows a collector or enthusiast to highlight their favorite pieces, rather than keeping them packed away in a box or other packaging. These units are excellent for a wide variety of other items, including figurines, coins, sports memorabilia, weapons and more! Marketing Holders Locking Security Show Case Safe Box Display Tray Perfect for Watches Jewelry Collector Knives with Two Keys 12"w x 1.5"h x 8"d Qty 1Product Details: This Clear Acrylic tray security safe box included 2 keys!You can use for home, office, store, trade show, etc.You can safe any documents, pictures, cosmetics, jewelry, etc.Acrylic Tray Dimension 12"w x 1.5"h x 8"d with lid and lock!Security Lock BoxThese security lock box display cases provide a safe place to both store and showcase prized collectibles! The economically-priced holders are the perfect choice for home collectors, in addition to some retail environments. Marketing Holders display cases that have a clear plastic acrylic top, also known viewable lock box allows a collector or enthusiast to highlight their favorite pieces, rather than keeping them packed away in a box or other packaging. These units are excellent for a wide variety of other items, including figurines, coins, sports memorabilia, weapons and more! 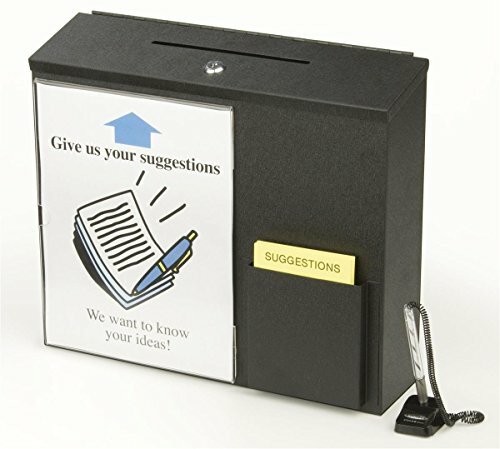 This employee suggestion box can be used as either a tabletop or wall-mounted collection bin. The metal container features a black coloring that would blend in with setting. 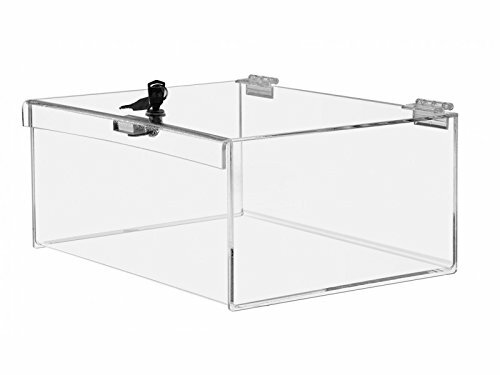 This locking employee suggestion box features a hinged lid with lock at the top. Not only will this prevent users from tampering with entries, but it will also encourage more participation due to secrecy. The employee suggestion box has a built-in pocket on the front for storing ballots or entry forms. The pocket measures 4.75 inches wide by 5.125 inches tall by 0.625 inches deep. Please note that ballots and suggestion forms are not included with a purchase. The metal employee suggestion box also has a clear acrylic sign holder that is perfect for displaying an eye-catching graphics or advertisement. Why not use this area to display instructional information, such as how to participate in a contest or why comments are being requested? Finally, the employee suggestion box is equipped with a pen and plastic coil tether. The writing utensil can therefore be attached to either the box itself or the wall or counter to which the collection bin is attached. 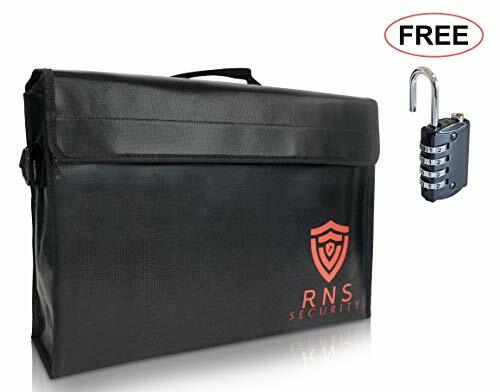 Marketing Holders Locking Security Show Case Safe Box Display 24" X 18" X 3"
The SafeSpot locking fireproof bag for documents will give you complete confidence in knowing all your important documents, money, and valuables are protected from fire and water damage. 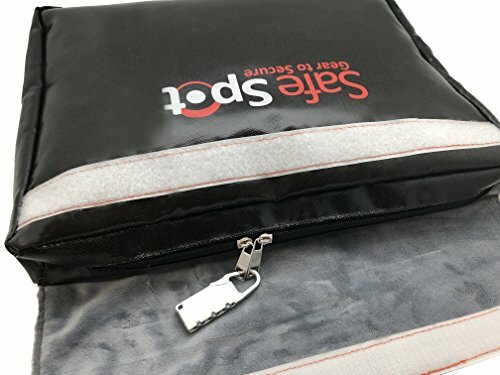 With a generous 15.9" X 13" x 1" size, this large storage pouch can hold legal documents, certificates, money, passports, tablets, electronics, photos, and other valuables. 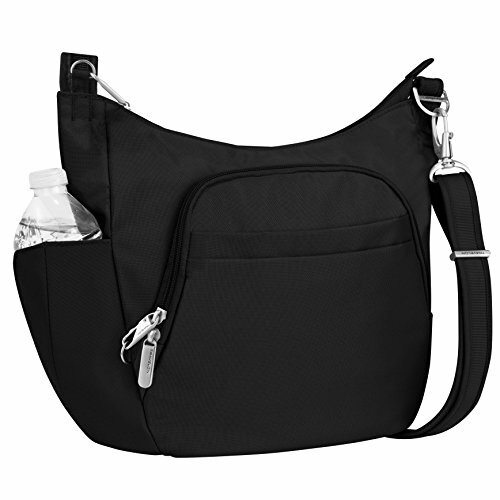 A sturdy lock for the zippered closure is included with your fireproof bag to provide privacy and security for your most important documents. At SafeSpot we know your valuables are irreplaceable. 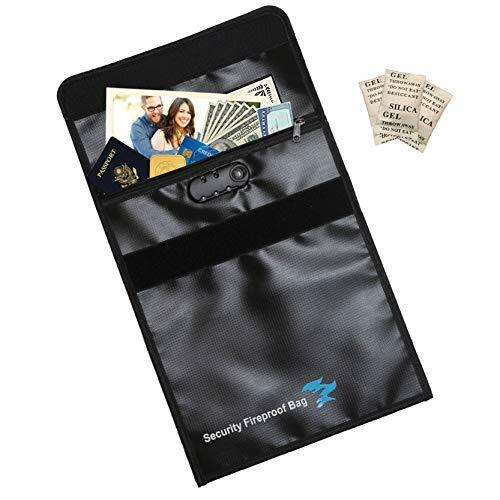 Take our lockable fire and water resistant document bag with you when traveling, or keep them protected and hidden at home. Which is the best type of shed security bar?